1 Bedroom Apartments - Property for sale. 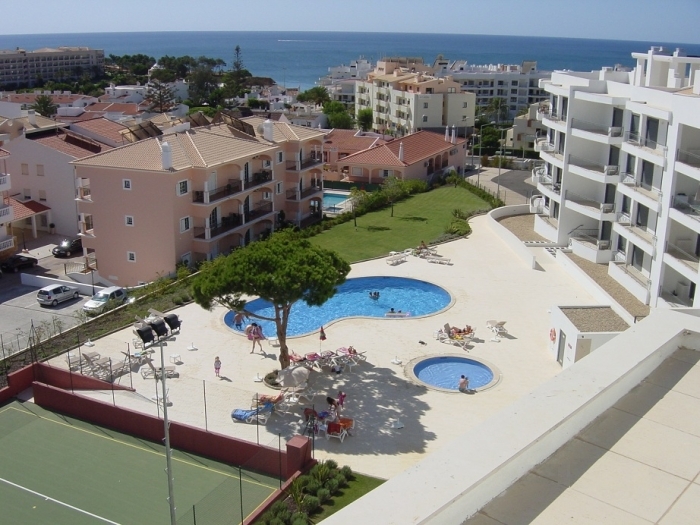 Full Description: These superb one bedroom apartment are set in an ideal situation and is part of a great complex in Olhos de Agua on the sunny Algarve. There is an open plan lounge and kitchen, one master bedroom with 4 four piece bathroom, The lounge and and / or bedrooms have sliding patio doors opening on the balcony some have the benefit of pool or sea views. Owners have the use of the communal pool, baby pool and flood-lit tennis court (racquets and balls provided), or can simply sit in the sun and enjoy the manicured gardens. Alternatively, the beach is only a five minute walk away. The grounds of the apartment are secured with locking gates, and guests will benefit from underground parking with lift access to the apartment. Olhos de Agua is only a 25 minute drive from Faro airport and has a variety of shops and restaurants all within a very short walking distance. Apartment block set in pristine gardens with sun loungers. Grounds include a shared swimming pool and baby pool, and shared floodlit tennis court. Coast/Beach Olhos de Agua has its own fabulous beach, only a five minute walk from the apartment.